Sleep in style with this executive sleeper module. Great for those “white hats” on your staff. 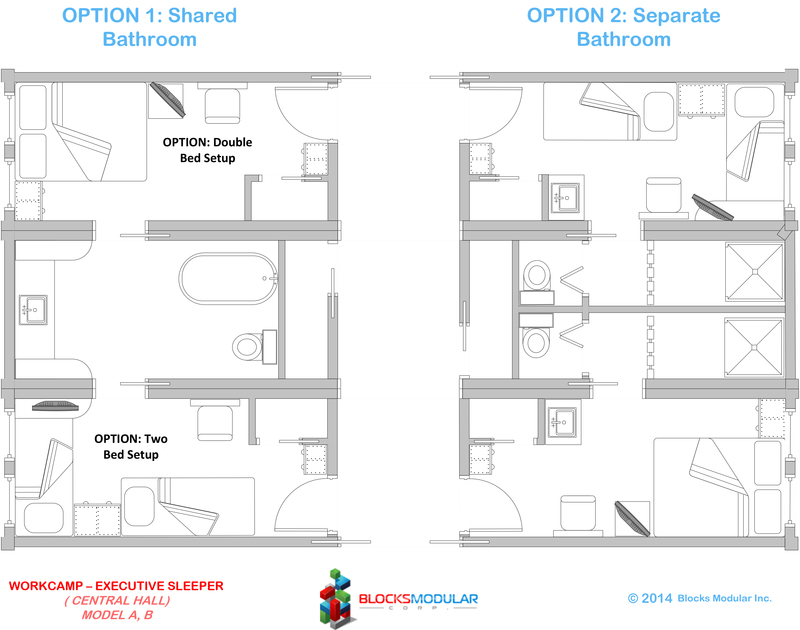 This executive, central hall series sleeper module offers many of the perks available at home. The model is available with two different options pertaining to the choice of restroom. 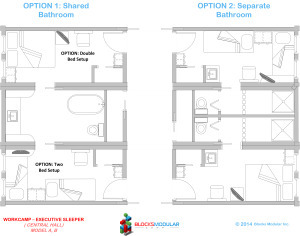 Option one offers a “Jack & Jill” style restroom while the other option offers separate lavatories.